Partners of different zodiac signs bring out slightly different facets of the Aries personality. Some elements however are fairly common to all Aries relationships. Aries is a direct and forthright lover. They don’t generally play mind games, and you will typically know exactly where you stand when in a relationship with an Aries. They can sometimes be relatively aggressive and domineering partners, but it’s done in a genuine, enthusiastic and bold manner which is hard to find fault with. Overall the excitement of dating an Aries overrides their take charge attitude. Along these lines they are often the initiator of a relationship, and the most common complaint is that they can come on too strong or try to move things along too fast. Who’s going to be the boss in this relationship? Aries are outgoing and dominant and at times each Aries will want it to be all about them so one Aries will have to stand aside to let the other one take center stage. Both will want their say in what’s going on, where and when. There’s a strong possibility of power struggles taking place, with neither Aries backing down. Aries are known to start a lot of projects, as they excel at initiating actions, but they got bored and can quickly move on to the next exciting thing that takes their attention. If neither of them encourages the other to finish what they start, frustration can set in if a high level of achievement is not accomplished. Responsibilities need to be clearly outlined to avoid nastiness. When things go wrong, the Aries tone of voice can be cutting and sharp. Selfishness can also be an issue as the Aries nature is to serve themselves. As both partners possess this trait, there will need to be a concerted effort on each Aries’ part to consider the other’s feelings. These two signs move at different paces. Aries are action orientated and have a fast paced energy; they want it and they want it now. Taurus on the other hand likes to think through the possible outcomes and different scenarios before they act and believe Aries rash actions are reckless and foolhardy. Aries has no time for Taurus’ steady reliable ways and feel they are wasting their life away. Even if they do overcome this difference and learn to see how they complement each other, it may work, that is until there is a difference of opinion. Aries are determined to get their own way and if Taurus feels strongly about an area of life or Aries has threatened to unravel one of Taurus’ deep seated values, Taurus will stubbornly say, ‘No’ and there will be a stale mate. Who will win in the end? No one and that is precisely the problem with the Aries + Taurus connection. When two headstrong, slightly obstinate signs connect, confrontations can be frequent and emotionally and physically draining. Easygoing Gemini is no challenge for the high spirited Aries. Gemini is likely to go along with most things and although an Arian likes to get their own way, they can enter into a coma of boredom if there’s no contest. 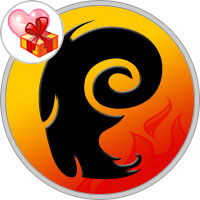 Aries lives for the challenge, and if a quest of theirs is too easy, including the courtship of a love-mate they can consider the prize of a lower value and quickly lose interest. The harder an Aries has to work to win the heart of their love-mate the more valuable the prize becomes. Gemini’s love to experience life but they are not into game playing on any level and if they need to be strategic to capture their Aries lover’s attention it is really not worth the trouble. The other area of compatibility concern here is Aries clearly sees themselves as the leader and will willingly take charge. Gemini is relatively easygoing, but they are no fool and will tire quickly of being bossed around and simply stop responding to Aries demands, which will infuriate Aries. In a nutshell, Aries are general about everything and Virgo is exact about everything. They can come to the same conclusions but have different ways of arriving there. In terms of view of self Aries and Virgo again diverge in opinion with Aries supremely confident and boastful while Virgo is modest almost humble. There may also be difficulty finding common interests and keeping the active Aries entertained as Virgo is likely to focus on one hobby or activity while Aries likes to dabble in many. It can be a challenge to coincide your busy schedules. These two need to schedule time in their day planners just to get together and be prepared to shut the rest of the world out so they can reconnect and catch up with their respective trials and successes. As both these signs are natural extroverts, there is also concern that one is going to outshine the other. Aries forceful manner doesn’t work on Sagittarius and the Sagittarian philosophical manner can be totally lost on Aries as they are on to the next best thing and don’t sit long enough to reflect and ponder on life itself, like deep thinking Sagittarius does. The potential for a battle of ego is also possible here as both signs will always believe they are right and the other is wrong.